Home Front Page Did too much Curiosity cause the methane findings on Mars? Scientists alert that the recent methane findings picked up by NASA’s rover Curiosity on Mars actually could come from the rover itself, rather than from the surroundings. Detecting and analyzing methane content in the atmosphere on the red planet might not be as easy as just taking a sample and drawing a conclusion. Rather, researchers constantly need to take into consideration just how much impact human activities, through the use of rovers and other stuff that we’ve put there, could have on any readings of the atmosphere and the rock samples. Finding methane on Mars would be a big one. 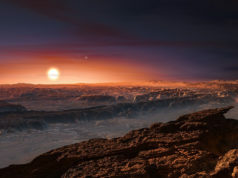 Methane indicates the breakdown of organic materia by bacterias, and that means life, which is something scientists constantly are on the lookout for on our neighboring planets. 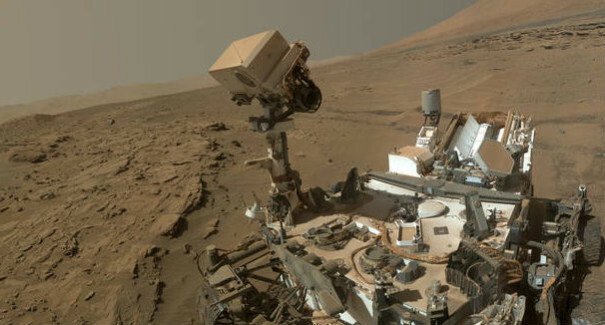 However, this time some scientists worry that the methane found by Curiosity in December 2013, could have been released from different compartments on the rover itself. Others dismiss the concern by comparing the amount of methane found by Curiosity to what would fit in a bottle of pure methane, seeping into the air around the instruments. And that much is too much, according to the Curiosity NASA team, which would mean they need to find another solution to what the gas pockets originate from. The most credible theory right now, is that one or several carbonaceous meteorites have hit the ground close to the rover. This type of meteorites emit small clouds of methane when their organic materials break down when hit by ultraviolet radiation. Carbonaceous meteorites don’t create craters, but fall into smaller fragments of organic matter, so instead of looking for signs of recent impacts from stone-like meteorites, the scientists have begun calculating what size the carbonaceous one had to be, causing this amount of methane to be released. Because the methane was detected in December 2013, the team now eagerly awaits what might show after a full Mars year has passed. Will the methane finding be seasonal or not? If it is, it’s a strong indicator that the methane is Mars bound and reveals some type of local process occurring, rather than blaming Curiosity or alien organic material from meteorites for what happened.